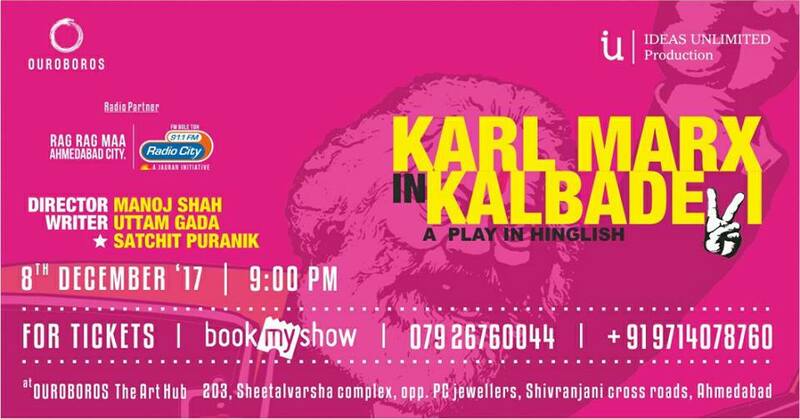 In this interactive performance of ‘Karl Marx’ arrives in present day in kalbadevi, Mumbai, India after 150 years of his death and wants to clear his name of all false allegations against him as a ‘Marxist’. His observation on the politics, population and prevalent situation in India leave him flustered, reminiscing of Gandhi while he takes us through his life in SoHo with his wife Jenny and his children- the ones who survived and those who didn’t. He insists that he isn’t here to entertain you and yet he uses all tropes to keep you listening. Entertaining, informative, hard hitting. KMIK will comfort the disturbed and disturb the comfortable.